Brief hypnotherapy is particularly suited for children and adolescents with psychosomatic disorders, because it exploits their natural abilities to fall into trance and uses a language of symbols and metaphors. It is based on the Ericksonian belief in the abilities of a child and is astonishing in its effectiveness. With Charlotte Wirl. Ignoring the impact of the trauma on the client’s family overlooks powerful dynamics that are crucial to treatment outcome. Participants in this workshop will learn how to involve the trauma sufferer’s partner and other family members as resources in the healing process. Hypnosis harnesses the powerful imaginations of children to interrupt problematic cognitive and physical patterns. Participants will learn how to use hypnotic techniques to manage common childhood problems, such as phobias, sleep issues, school/test anxiety, and fear of medical treatment. How to include parents as subjects and hypnosis “assistants” will be addressed. With a plugged-in 24/7 cyberspace that demands and creates instantaneous response to internet and social networking, many young people have difficulty understanding self-regulation and present a lack of selfawareness and modulation. This workshop proposes a tailored strategic approach toward utilizing the natural creativity and novelty that young people have embedded in their development make-up but often have limited access toward using their inner resources. Experiential and specific ways to elicit responsiveness and enhance “down regulation” will be explored. When children and teenagers face serious problems they experience a variety of feelings and emotions. 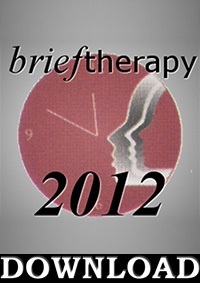 Brief Therapy techniques can help them find solutions and explore new alternatives within a short time. Short interventions, such as brief trances and conversational hypnosis will be demonstrated. Utilization of individual’s resources, likes, and favorite activities will also be discussed as brief therapy tools will be used during therapy. Participants will be able to explore how other approaches such as Narrative Therapy can enhance and embellish Ericksonian approaches.